Amsterdam’s cult techno-soul label is celebrating their 50th release with this very tight compilation, bringing you 12 unreleased outer space techno jams by some of the very hottest underground artists around. Featured artists are Terry Brookes, Vince Watson, Starfighterz, Speakwave (aka Dynarec), Shed, $tinkworx, D5, Aroy Dee, Nubian Mindz, Peel Seamus, Dj Yoav B and Newworldaquarium. 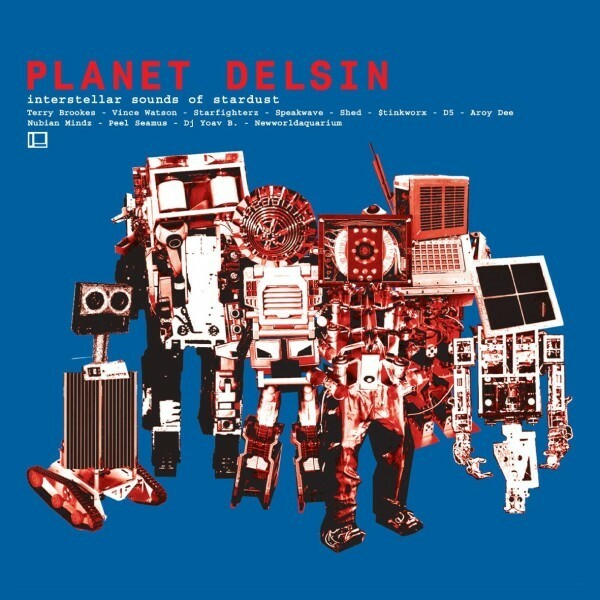 The Planet Delsin compilation is available on CD, as well as a double vinyl release and separate EP. The wicked artwork is done by Delta inc, liner notes come by ‘Techno Rebels’-author Dan Sicko. Ace.